Lockheed Martin has been selected as the winner of the US Army/Marine Corps Autonomous Technologies for Unmanned Air Systems (ATUAS) program for an unmanned cargo delivery helicopter with an unmanned version of Kaman’s K-Max helicopter. 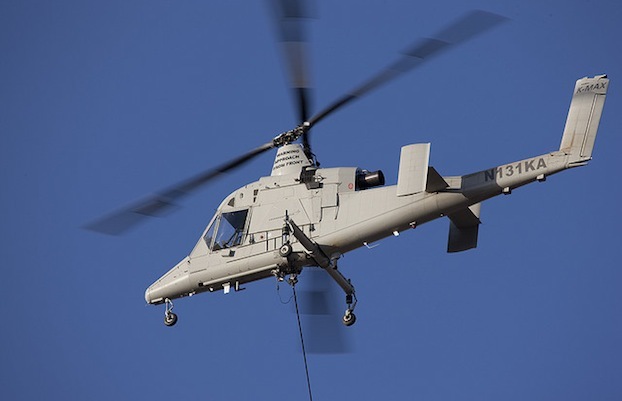 The Army Aviation Applied Technology Directorate (AATD) announced the selection on August 16, citing the K-Max’s 3000kg payload capability, the system’s maturity, and its ability to be optionally piloted. The requirement called for a machine able to deliver a 360kg payload over a 200km range to a point with a density altitude of 12,000ft, and will be fielded in Afghanistan in support of coalition operations there. The K-Max had been pitched against Boeing’s A160T Hummingbird.